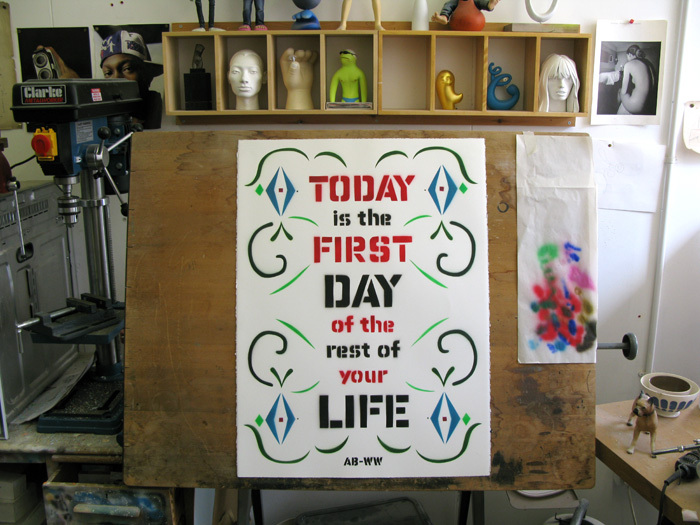 In 2011 I collaborated with Anthony Burrill on some stencils for Pick Me Up at Somerset House. Anthony curated an open studio at the event. Short piece about Pick Me Up graphic art show at Somerset House on BBC China featuring Anthony, me and our friend Francis.